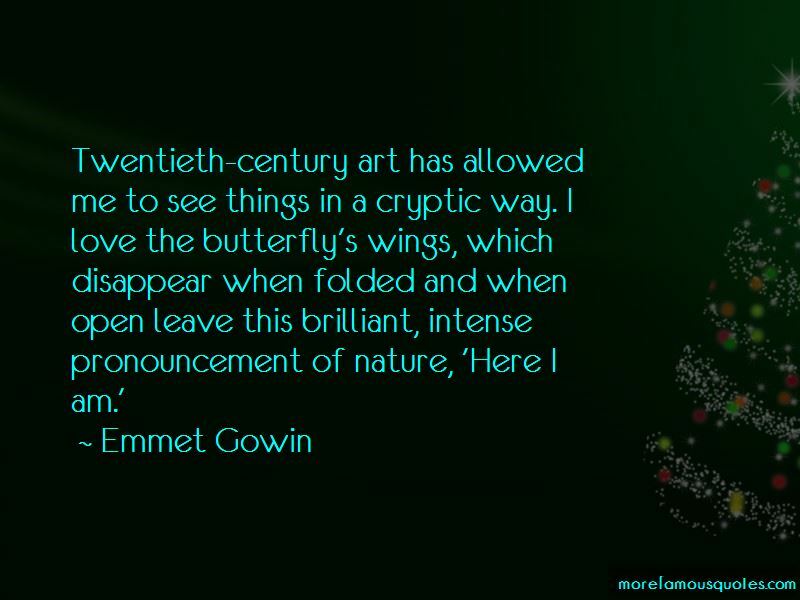 Enjoy the top 21 famous quotes, sayings and quotations by Emmet Gowin. I want my photographs to say: "Look-there's this thing you haven't seen that you should see." We tremble at the feelings we experience as our sense of wholeness is reorganized by what we see. 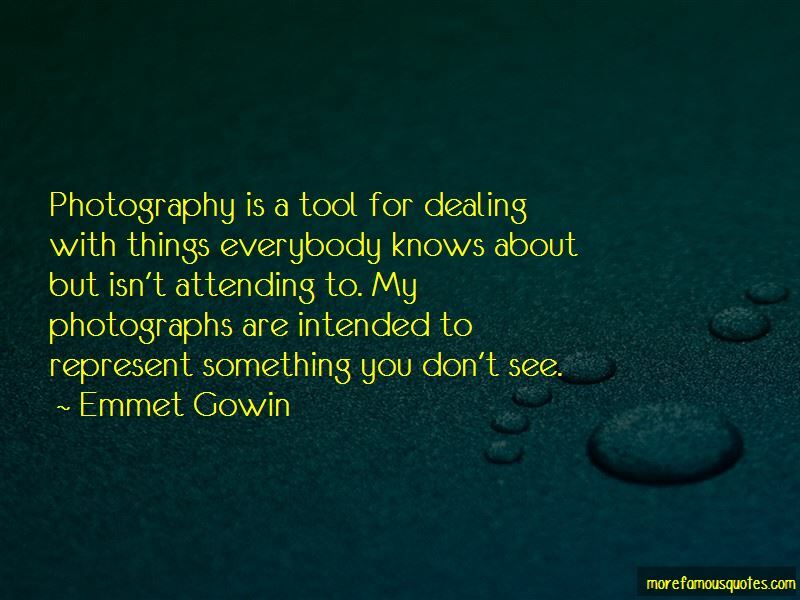 Photography is a tool for dealing with things everybody knows about but isn't attending to. My photographs are intended to represent something you don't see. 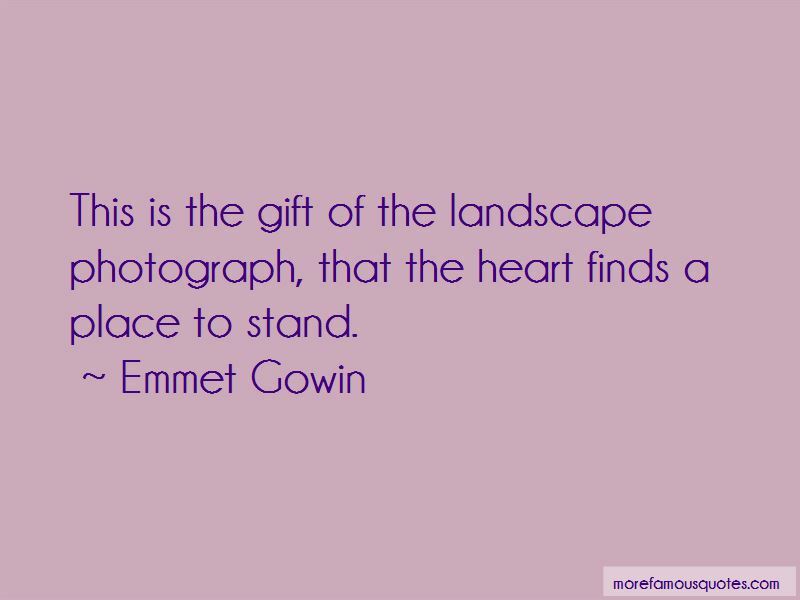 Want to see more pictures of Emmet Gowin quotes? 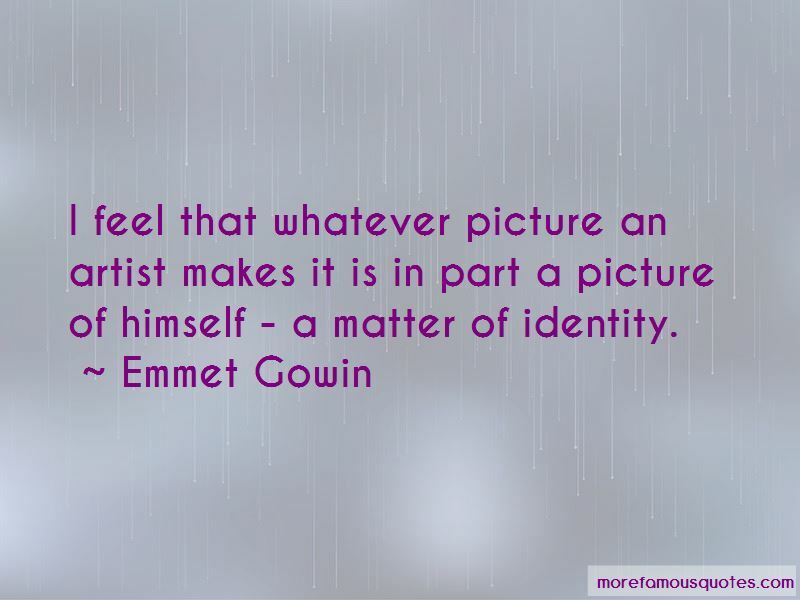 Click on image of Emmet Gowin quotes to view full size.